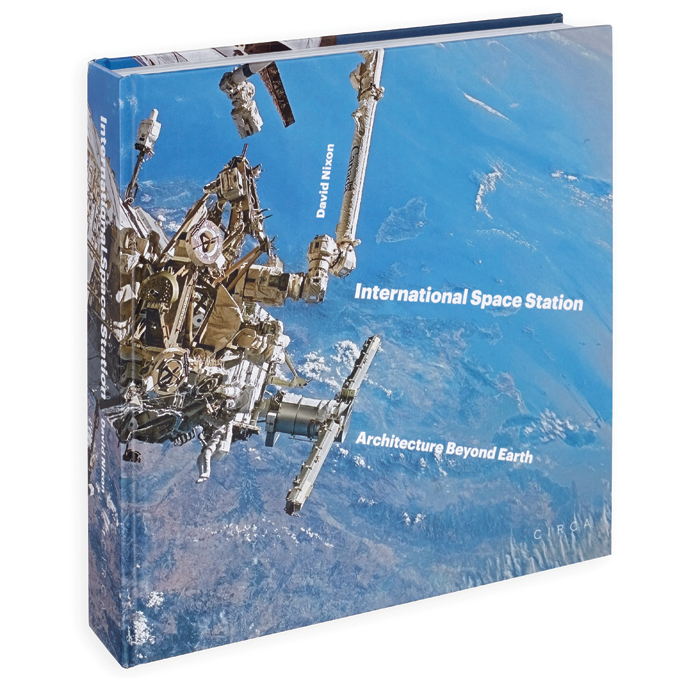 Architecture Beyond Earth is an epic book about an epic project - the International Space Station (ISS). The 420-tonne structure, with its dramatic arrays of photovoltaics mounted on a 109m-long truss, and modules transverse to it containing as much pressurised volume as a 747, floats some 400km above the Earth and, in our mind’s eye, in a vague zone between science-fiction and sometime-newsfeed (such as Tim Peake this year). It is clearly up there with CERN’s Large Hadron Collider (which author Nixon cites for comparison) or IBM’s SyNAPSE microchips for sheer design complexity - but is it architecture? If vehicles count as architecture, it is - the ISS whizzes around at 7.66km/ second. And it’s home to six people, so it’s also a dwelling. Architecturally, Nixon claims the ISS meets Vitruvius’ fundamental principles of architecture - robustness, utility and beauty. Does this book make the case? You could describe the ISS architecture as an extreme case of form following function, but that’s not the sort of architectural critique that Nixon pursues, even though he’s a Los Angeles-based architect who co-founded Future Systems with Jan Kaplický in London in 1979. Instead, we get a meticulous history full of engineering and politics, backed up with NASA photography, which as you’d expect is stunning. Nixon calls ISS the ‘greatest engineering and construction masterpiece of all time’, but unlike most masterpieces it is the result of countless committees’ deliberations over decades. Architects appear in the text rarely, but include Brand Griffin, who sketched the early Power Tower space station configuration and wrote a design guide to address body-shape changes in microgravity and the needs of an isolated ‘microsociety’ in space. After the Apollo Moon programme NASA’s astronautics turned to space stations. Skylab was orbited in 1973, two years after the USSR’s Salyut, and just as Germany aimed to re-enter space by leading design on the European Spacelab, which would first fly in NASA’s Shuttle 10 years later. But NASA wanted something big and permanent. Plans evolved until in 1984 President Reagan approved the Space Station. Canada, Japan and the European Space Agency (ESA) were on board. Nixon describes the ensuing slow-burn drama of budgetary battles between NASA and Washington - in 1993 the project survived a kill vote in Congress by one vote. Then, the most unexpected knight in shining armour appeared. Enter stage left - Russia. The new post-USSR country was desperate to save its Mir 2 plans, and offered reliable Soyuz and Progress craft to reach ISS. Soon, however, it was apparent that it didn’t have the cash. 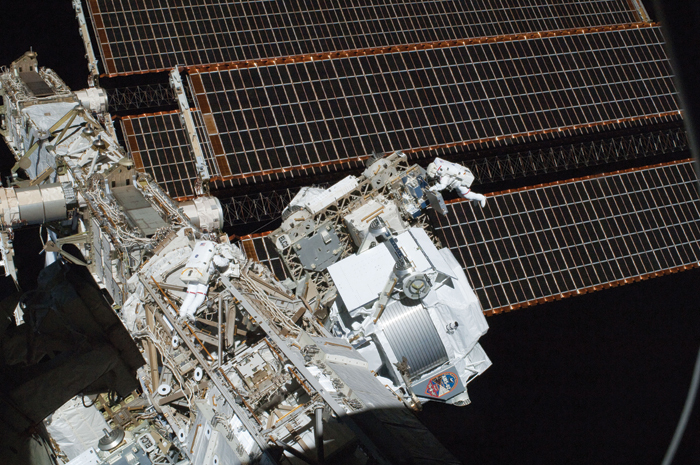 Nevertheless, the ISS’s first module, Russia’s Zarya, was orbited in 1998. Initial crew arrived in 2000, followed in days by the first truss section, delivered by Shuttle. Drama would continue. ISS’s computers committed ‘suicide’ (as Canadian star astronaut Chris Hadfield says) in 2001. The 2003 Columbia re-entry disaster grounded the Shuttles, freezing construction until 2006. But the truss was completed in 2009, and the assembly of ISS modules grew. ESA’s science lab Columbus was installed in 2008 and Japan’s Kibo (the largest module) in 2009. Not until 2011 was the final configuration settled on. By 2013, American commercial supply vehicles were in play, first with SpaceX’s Dragon. Nixon spans the space station story from Edward Hale’s 1870 idea of a ‘brick moon’ to the arrival of private enterprise at ISS, but even his 2015 book is not the final word. This June, ISS’s pressurised space was extended almost two per cent by BEAM, an inflatable module from Bigelow Aerospace. Nixon also describes key missions, and a week on board in 2014. We learn of the science - physiology, biology, astrophysics, material sciences, Earth observation - and surprising outcomes from the ISS, like a Norwegian fisherman saved at sea when the ISS located him, and a Canadian neurosurgery device based on the ISS’s huge robotic Canadarm2, which facilitates construction and brings supply vehicles in. And of course, Nixon reminds us of the sheer adventure of space, ultimately priceless. 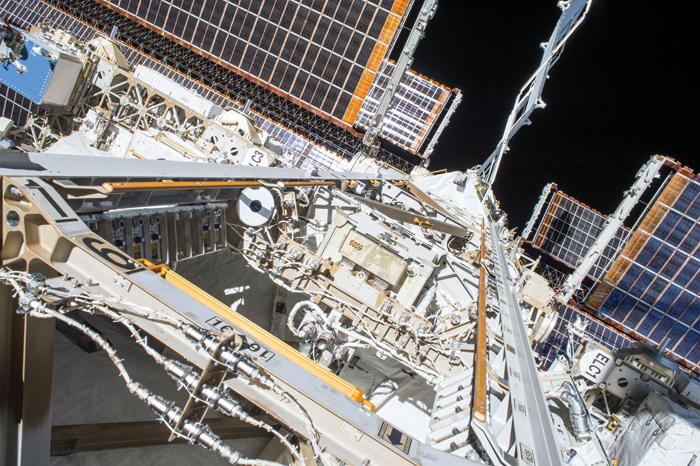 ISS operations are scheduled until 2024, by when the ISS will have cost perhaps $110bn. Its life may be extended. Nixon does not speculate about alternatives to it eventually burning up in the atmosphere. 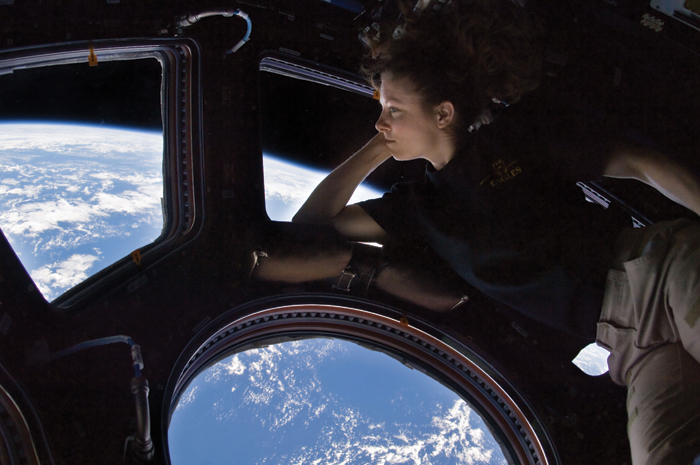 Who knows, could it become a space tourist destination? Or boosted higher, beyond the drag of the outer atmosphere, and left for the solar wind to eventually weather its hulk? Nixon’s comprehensive book tells the ISS story with fluency and often thrill, but doesn’t pursue that question of Vitruvius’ third architectural principle – beauty. The ISS is a configuration with balance and spread, not unlike a vast Calder mobile. Vast scale and delicacy combine and soar. If it is saved, then this metallic wonder might echo a Piranesian ruin - but high-tech in style, not classical.